In 1727, one Matthew Luntley, son of the taylor Richard Luntley, late of St. Olave’s Southwark, became the apprentice of Isaac Haydon, Citizen and Dyer. In 1744, John Luntley, the son of Matthew, became the apprentice of his father. John married Sarah Dickes in 1755 at St. Botolph Aldgate. They had a son John Josiah who married Elizabeth James in 1789. He is described as of Norton Folgate and she of St. Leonard Shoreditch. Her parents are not listed on the marriage registration, but one Philip James signed as witness. In 1804, the children of the couple were registered at Dr. Williams’s Library as being members of the Maze Pond Baptist congregation. (1) When John Josiah and Elizabeth’s son, another John Josiah, was apprenticed in 1808 it was to Philip James, Citizen and Haberdasher. On the indenture, John Josiah senior is described as auctioneer, appraiser and undertaker of 63 Shoreditch. Although Philip James is a member of the Haberdashers’ Company, advertisements show that he was already an auctioneer since at least 1801. An advertisement in The Morning Chronicle of 25 November 1801 gives his address as 63 Shoreditch. Later advertisements show Luntley and James in partnership at that address, so although John Josiah junior was officially apprenticed to Philip James, his grandfather, in practice he just worked in the Luntley/James family business. Philip James died in 1816 and from his will we can see that John Josiah had already taken over the business when his father-in-law retired. The foreman who worked for James is left ten pounds for a ring providing he is still in service with son-in-law John Josiah. 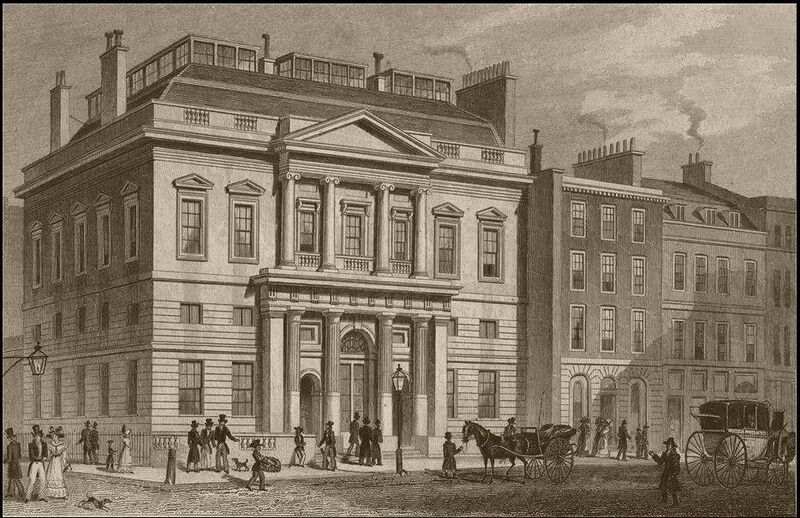 Already in the 1811 Post Office Directory we just see the name of Luntley for 63 Shoreditch. In the 1837 poll book, Luntley senior is still listed for 63 Shoreditch, but Pigot’s Directory for 1839 already shows Luntley junior as the auctioneer at that address. One of the first important auctions John Josiah junior is conducting from Shoreditch is that of the library and museum of George Bennet, collected during his missionary tour around the world from 1821 to 1829. 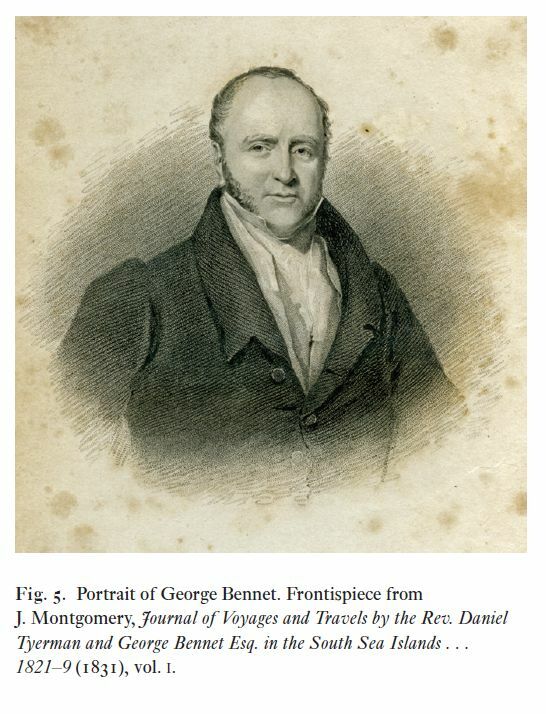 Bennet originally came from Sheffield, but he died in Hackney. A tribute to him, written by his life-long friend James Montgomery, can be found in The Evangelical Magazine and Missionary Chronicle of February 1842. 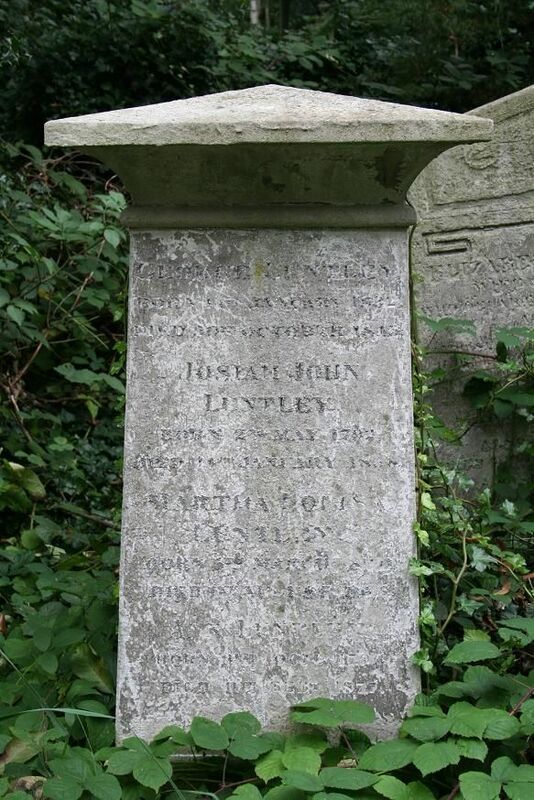 Josiah junior was a founding member of the Abney Park Cemetery Company and he was, of course, buried there. The death of John Josiah junior did not mean the end of the Bishopsgate Street business. The business was apparently continued by the next generation, John, the son of Josiah Jon and Ann. In 1864, however, John, undertaker and house agent, formerly of no. 42 Bishopsgate Street Without and now of no. 14 Liverpool Street, is requested to come before the Bankruptcy Court where he is formally declared a bankrupt. (7) In 1871, John is living in Bromley with his mother Ann and his siblings Sarah, Jane and Philip, all unmarried. And what about the premises at 63 Shoreditch? 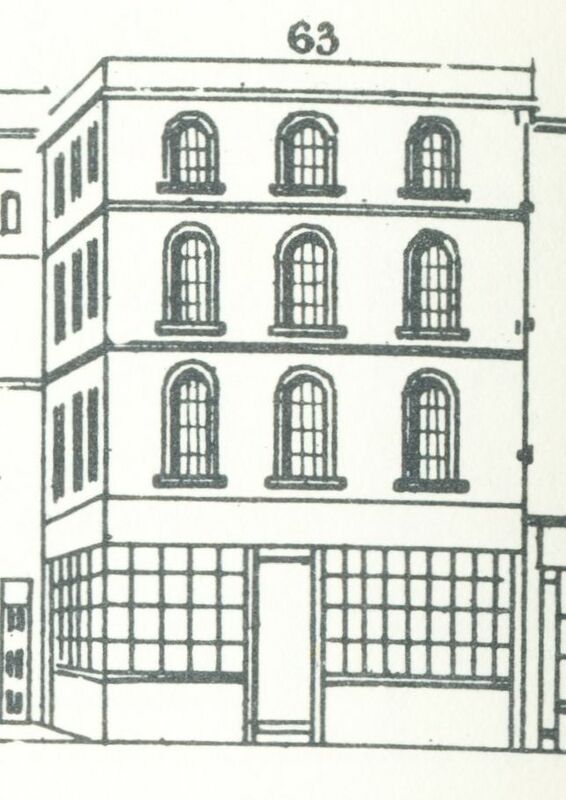 In early 1846, James Corss and Stephen Roberts dissolve a partnership as tailors and drapers at 63 Shoreditch. 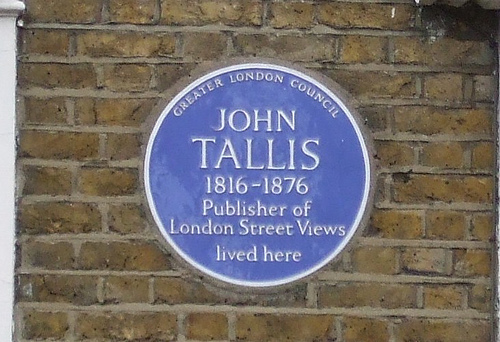 (8) According to Tallis, Corss had been trading from various properties in Shoreditch High Street, but in 1846, he seems to have amalgamated his separate shops into one larger one at number 63. 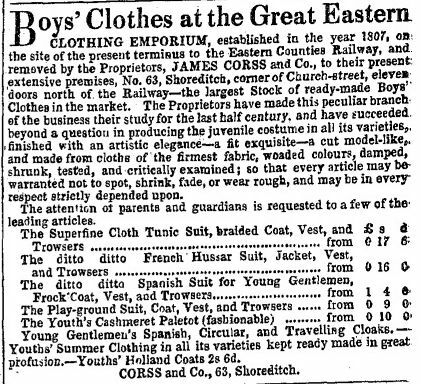 After he dissolved his partnership with Roberts, Corss turned 63 Shoreditch into the Great Eastern Clothing Emporium. Corss was to trade at number 63 until his death in August 1863. More on Corss in another post, but for now I will leave it at this. (1) Elizabeth James born 5 Nov. 1790; Josiah John born 2 May 1792; Philip James born 10 Feb. 1794; and Sarah Jane born 17 May 1796. (2) She was buried according to her wishes in the family vault at Maze Pond (baptist) on 3 November 1819. (3) Ann born 15 Dec. 1818; John born born 16 March 1820; Elizabeth born 18 Sept. 1821; Mary born 16 July 1823; Sarah born 28 Feb. 1825; James born 9 Dec. 1826; Jane born 6 April 1830; George born 15 Jan. 1832; and Philip Henry born 27 Dec. 1836. (5) England & Wales, National Probate Calendar (Index of Wills and Administrations), 1858. Effects valued at just over £7,000. (6) England & Wales, National Probate Calendar (Index of Wills and Administrations), 1883. Effects valued at just over £872. (7) The London Gazette, 27 December 1864 and 21 July 1865. (8) The London Gazette, 20 February 1846.